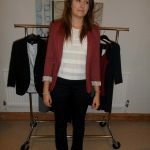 Personal shopping for a capsule wardrobe with a teenager! I have spent the past few days trying to organise my 16 year old daughter, Katy’s new school “uniform” ready for her to start 6th form this week. In her school the 6th formers are told to wear “business wear” – this was easy for my son – a quick trip to M&S to buy two washable suits, a few shirts and a couple of ties and we were done! However “business wear” for girls (and women!) is notoriously more difficult to pin down and having seen what the girls have worn in previous years was no help at all. I’ve seen their outfits range from skirt suits with court shoes (impractical when walking 2 miles up and down hills in the rain) to leggings with tunic tops. 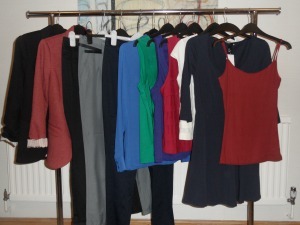 You may think that I have it easy with my knowledge of building capsule wardrobes and working with corporate clients but it was much more challenging than I thought – trying to stick to a budget with a very style conscious daughter!! We looked through her existing wardrobe first to see if there were any suitable clothes that could be incorporated into the new uniform “capsule”. We found a grey marl jacket that was originally mine but seems to spend more time in her wardrobe than mine! A smart white t-shirt and black vest; a multicoloured patterned top; a navy top; a green cardigan; a black cardigan; a black skirt and a dark grey cardigan. All for £2.42 over budget – but the vest top matches the jacket perfectly! I haven’t worked out all the various combinations of different outfits Katy can now achieve with these garments, especially when she combines them with her existing clothes but she should have enough to wear something different almost everyday until half-term! I had also allowed about £50 for shoes and we are still debating whether to go for the burgundy loafers from Top Shop for £52, a pair of black loafers from River Island £30 or a pair of burgundy brogues from Top Shop £30 – I know which option I’ll be recommending! All in all we are both pleased with the results and without too many arguments! 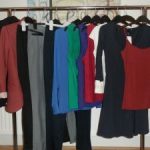 It is possible for anyone to do this exercise – base your capsule wardrobe around a few key colours (we chose black, navy, grey, off white, blue, green and the colour of the season – burgundy). She now has some key pieces that she’ll be able to wear throughout the current academic year and hopefully beyond – although I’m sure she will want to add more to the mix at some stage! 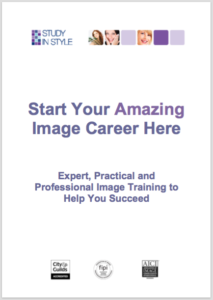 Good luck if you are currently shopping for your children’s uniform, what ever their age and if you ever need any help organising a capsule wardrobe for yourself I would be happy to help!